New Hampshire is an interesting place. Its motto is “Live Free or Die”, which means that you can pretty much do anything there. I like to go to New Hampshire for the hiking. It’s the the closest place with legitimate mountains and I especially enjoy mountains with rock scrambles. Here are my three favorites in order of ascending difficulty; all peaks are above 4000 feet. Franconia Notch State Park – this park is an easy drive (about 1.5 hours from Boston) and a reasonable hike on the Falling Waters Trail up to the peak of Little Haystack where you can enjoy beautiful views of the surrounding mountains (the image above was taken at the peak). After you reach the peak, you can hike along Franconia ridge to Mt. Lincoln and Mt. Lafayette before descending down a mild rock scramble. This park can get crowded since there are a number of nice, easy trails; at one part on the hike, a kid mistook my leg for a tree! It’s also along the Appalachian Trail so you often see people carrying up supplies (mostly beer) to Greenleaf Hut. Mt. Tripyramid – this trail actually ascends 2 4,000-ft tall mountains and is not an easy hike. I would definitely plan to get here early and not do it during bad weather. You take the Livermore Trail to get to the rock slide. The rock slide section starts at the north end of the Mt. Tripyramid trail and ascends 1,200 feet in half a mile. There were a couple of people who saw the scramble and turned around but if you’re up for it, it is definitely pretty fun. I don’t recommend going down the rock scramble or doing it if it’s wet though. If you go in the summer, keep an eye out for wild strawberries and tree frogs. We enjoyed both along our hike; also keep an eye out for black flies, we did not enjoy these at all! Mt. 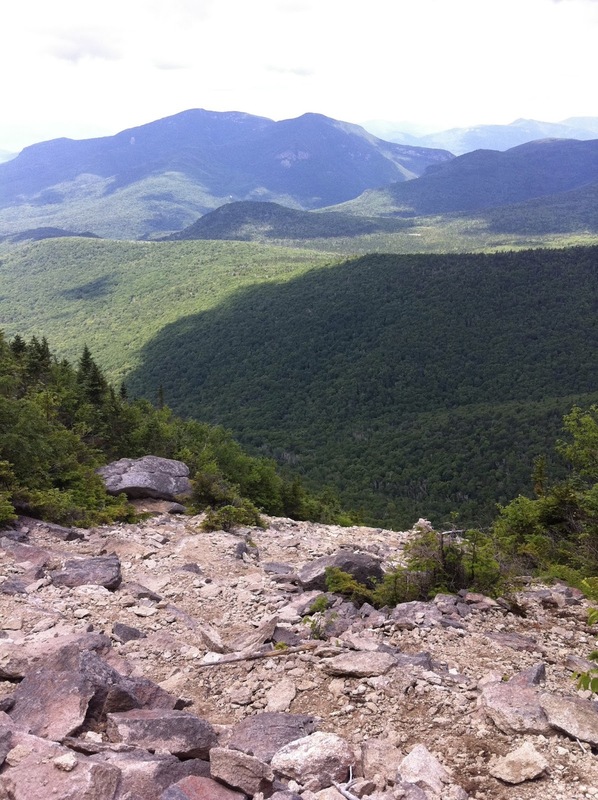 Washington (Huntington Ravine) – this is probably the hardest trail in all of New Hampshire. If you don’t have the correct equipment for mountaineering, don’t attempt it unless you are sure it’s ice-free and you know it won’t be uber-windy. You take the Tuckerman Ravine Trail to the Huntington Ravine Trail and from there basically climb up rockface with multiple steep sections. You definitely feel a sense of accomplishment after completing it. At the top of Huntington Ravine, you take the Alpine Garden Trail to the Tuckerman Ravine Trail and ascend to the top of Mt. Washington. It can be quite windy but the views of the mountains are really lovely! If you are lazy or hate hiking, you can also drive or take a train to the top of Mt. Washington to see the views. Side Note: you can also go to shooting ranges in New Hampshire. I went shooting for the first and only time of my life at the Manchester Firing Range. Not going to lie, it’s a bit scary to see all of the guns available and how easy it is to get a hold of one. You basically fill out a form that says you are not drunk, mentally ill, or a criminal and then after a quick lesson (“always point the gun downward when you are not firing”), you are sent into the range. It is extremely loud here so it’s good to have ear protection. You can shoot a glock, a machine gun, a revolver, or pretty much anything. Be careful if you put the machine gun on semi-automatic; the recoil is still surprising. It’s definitely an interesting experience if you’ve never shot a gun before.